TED talks for project managers? I can list dozens! They would all make a perfect sense. The role of a PM is that much diversified. 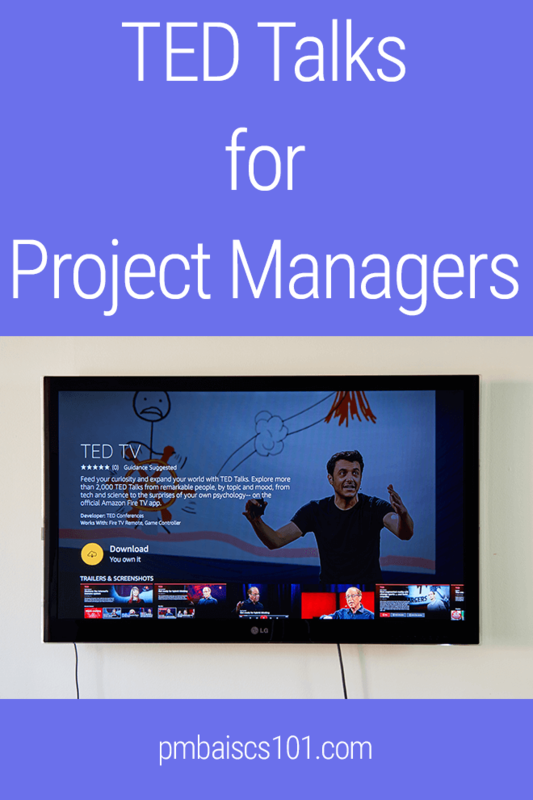 In this article, I want to share my top five TED Talks any project manager should watch. The Project Management knowledge domain is big. However, it is still limited. It is not something explained in a PMBOK Guide. These are the topics worth a separate guide of its own – just for Project Managers. It is much easier to get the ideas for short videos like these. You can then act upon them. Or you can dive deeper. How did I choose these five talks among hundreds of others? It’s all about the value you can immediately get from it. Watch it. Think it over. Act. I mean, examine your project environment to see if there is a place for improvement you never thought of. How many times you just accept a meeting invitation… well, just because you were invited to that meeting? How many times did you decline the invitation? Not just “decline” like I have a conflicting meeting which is more important. But decline because I don’t see a reason for me to be at that meeting. Decline because it is a waste of time. It is unproductive. How many times did you ask a colleague to clarify the agenda and your role before accepting the invitation? I’ll confess I’m a productivity and time management geek on a rise. I have tried a lot of tools and techniques. 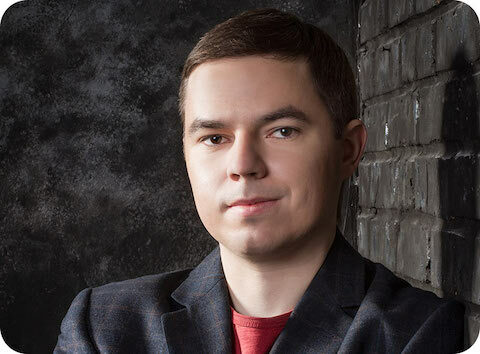 These tools and techniques are worthless without underlying principles or a methodology. The key here is: what we choose to put into it. I don’t have time = It is not a priority. Simple but powerful change of perspective. It helped to eliminate hours of my useless work on many projects. This talk takes some time to sink in. At first, it seems like it is about big corporations. 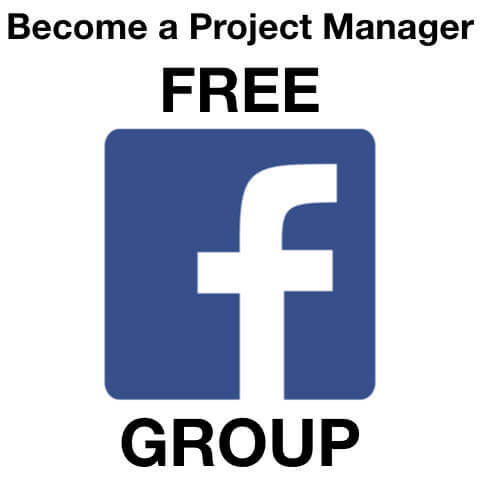 Project Managers like you and me doesn’t have authority to operate on that level. Take a closer look at the processes and interactions in your project teams. Look how you solve repeating problems. Do you foster initiative and collaboration? Or are your people afraid to take action without asking you? Have you made yourself a centralized bottleneck already? 4. Why Leadership Works and How? In essence, Project Management is boring. It about making people do the work in a controlled way to achieve goals that they don’t care about. People think that there are Project Managers that do it better than others. There are PMs that makes this dull organizational and administration stuff enjoyable. The difference is in leadership skills. If you find the WHY for each of your team members your projects will thrive. Did you plan to become a project manager? But you are not there yet! Did you plan to get that PMI PMP certification? But you have not started. Well, then this video is for you. 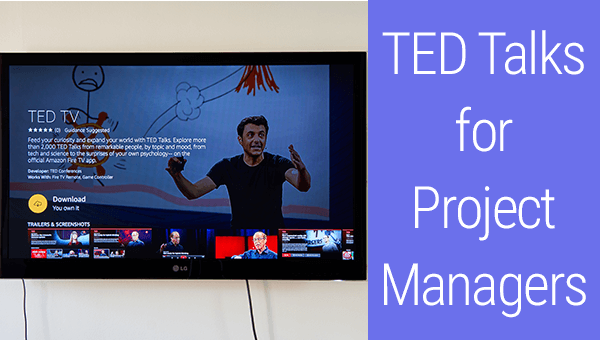 I mean really only one TED Talk for project managers that you enjoy the most. I really want to see something worthy. 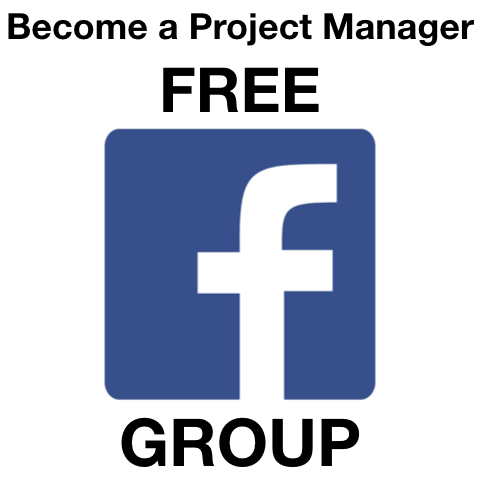 If you liked this article please click that Share button below.